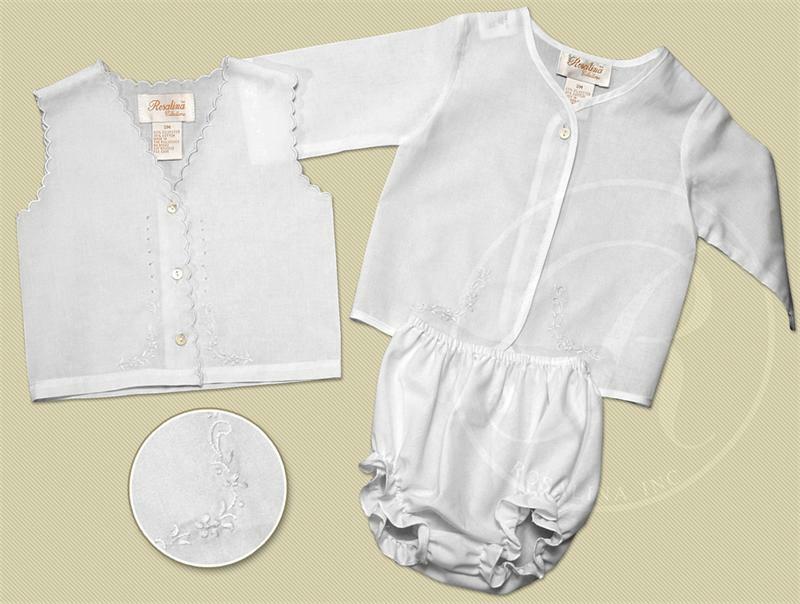 This sweet little white three piece diaper set is made by Rosalina, a leading manufacturer of classic children's clothing. 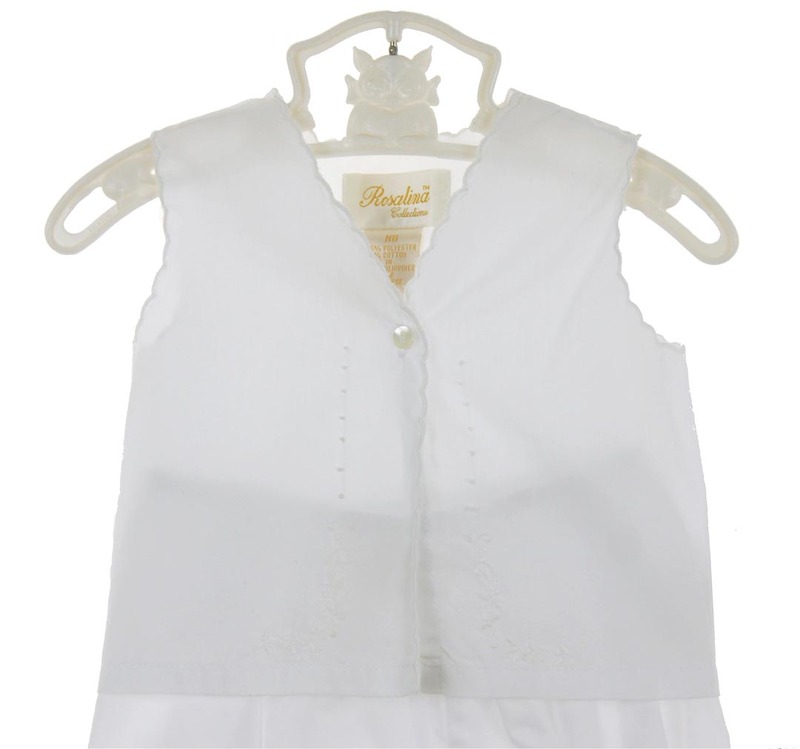 It features a sleeveless single buttoned shirt edged with scalloped embroidery and trimmed with delicate white embroidery with a matching white diaper cover. 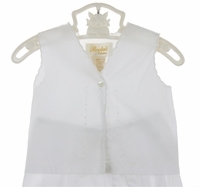 (Note: photo shows 3 button style; current style has a single button on each shirt.) It also has a long sleeved white embroidered overshirt. This gender neutral set is perfect as a take home outfit for your new baby boy or baby girl. 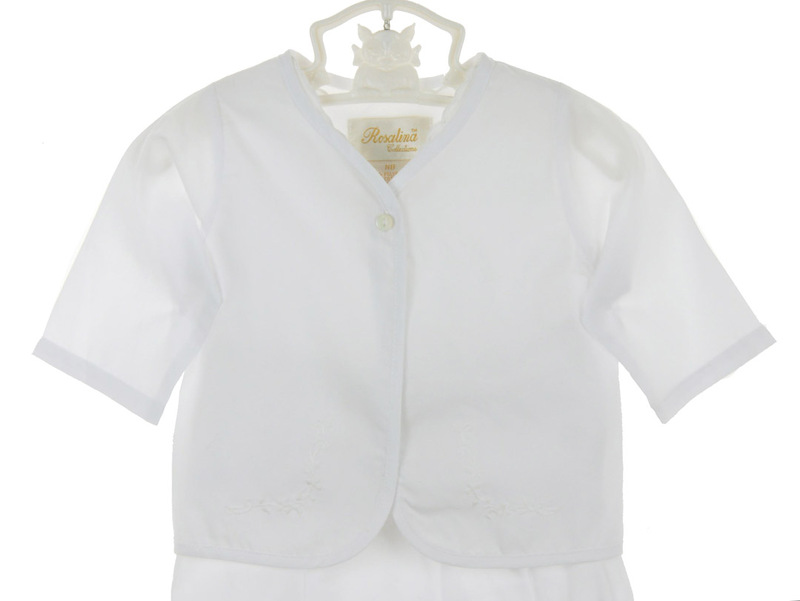 It also makes a sweet christening or baptism set. 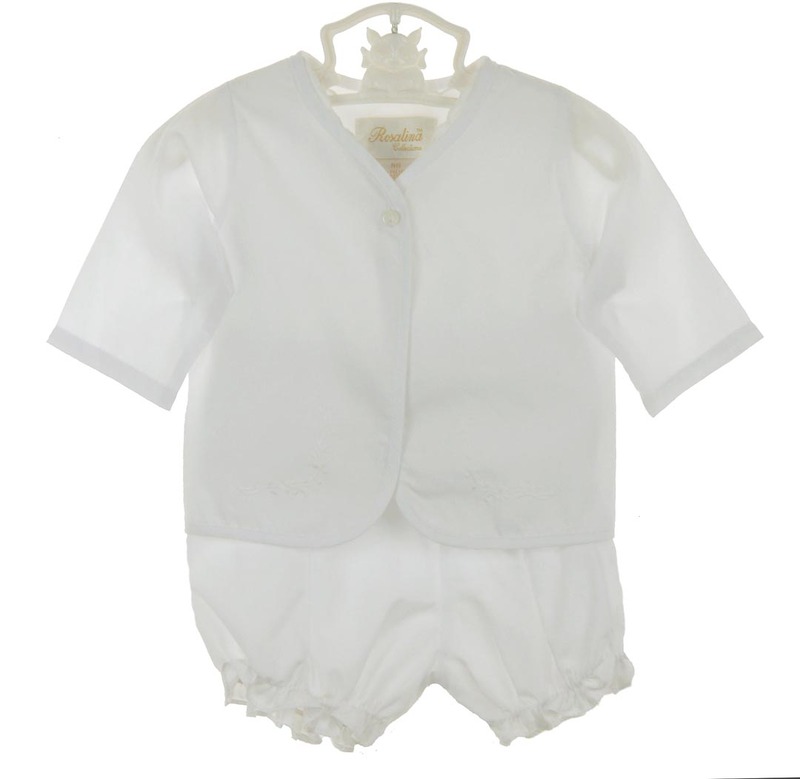 Note: This darling little diaper set is also available in blue and pink. See below.